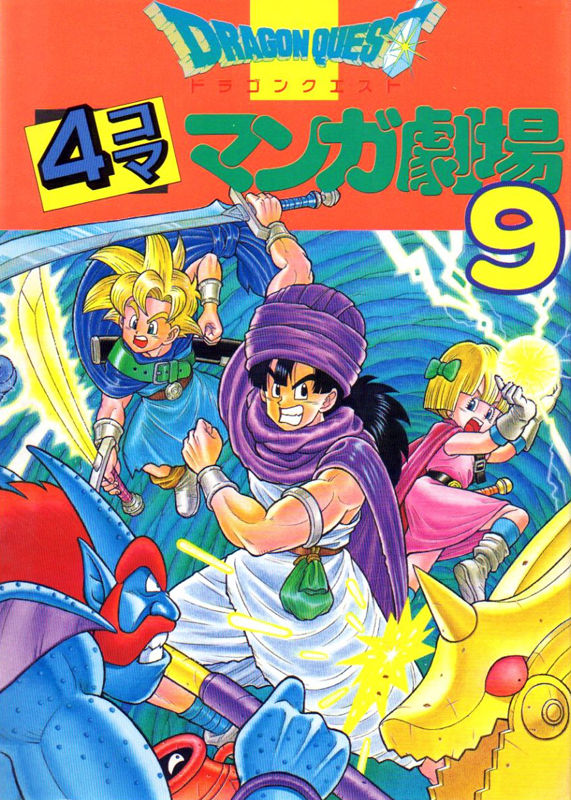 Probably the most interesting twist in Hand of the Heavenly Bride’s main narrative is that you are not the capital-H Hero — or more accurately, you are not the descendent of the legendary Hero, aka the protagonist from Chapters of the Chosen. This is most certainly not the way RPGs with some degree of continuity between their installments tend to do things, so it was a genuine (and pleasant) surprise when this became apparent during the finale of the game’s second chapter. No, it turns out I should have paid more attention to this game’s subtitle, because, yes, it is your wife who is descended from the aforementioned legendary Hero, and subsequently once you make babies with her, your kids. That means this time around it’s not you who gets to wear all the cool Zenithian equipment you gradually gather over the course of the game’s latter half; it’s your son — at least it is when you marry Bianca, anyway. This is really cool because it completely throws your expectations out of whack. You are not The Hero, but you are still the protagonist. This is still your story; you are in control, you are the leader of the party. At the start of the third act, eight years after you were turned to stone by the one who is presumably this game’s Big Bad, your “uncle” Sancho and your two kids turn up to rescue you, and thus begins a quest to track down where on Earth your wife (who met with a similarly awful fate) ended up as well as the quest you were already on to try and find out what happened to your mother. Turns out that despite not being directly descended from the legendary Hero, your mother was also kind of important, so it’s probably in your interest to locate her sooner rather than later… if indeed she’s still alive. The third act of the game is where things really open up, the training wheels come off and you’re pretty much left to fend for yourself. Once you and your children are reunited, you’re given only the vaguest of hints (your mother was born in this location) and from there, it’s up to you how you go about solving the various mysteries with which you are confronted — all while making sure you help your kids grow up strong and healthy, since when they join you, they’re a lowly level 4 and won’t be a whole lot of help, even with Zenithian gear in tow. The Party Chat system I mentioned last time really comes into its own here, too, since now (assuming you take them with you) you are accompanied by your children and Sancho, and, like your wife, they all have things to say about pretty much every situation you get into, so long as you care to listen. Sancho often finds himself reminiscing about his former journeys around the world with your father; your son is a polite but curious young man keen to prove himself; your daughter wants nothing more than everyone to live in peace, including the monsters. At least, this is the case when your children are the product of the union between you and Bianca; I can only assume that your offspring from Nera or Debora will have different thoughts on the state of the world and your adventures. The way your kids are written is surprisingly effective in making you care for them even if you are, as I am, not generally one for children. They clearly seek your approval and involvement without being “needy” about it, often asking you how you feel about something they’ve just pointed out or noticed. And the simple fact they call you “Dad” is something I can’t recall experiencing in a game like this before; sure, we’ve had “father games” like David Cage’s Heavy Rain and Taro Yoko’s amazing Nier, but in both of those cases you were witnessing a pre-existing relationship between a parent and their child; here, you’re encouraged to think of these kids as yours, and of the protagonist as you. This means when you set out on your journey with Sancho and your children in tow, it’s a significant moment. The whole world is waiting for you to explore it, and the game certainly isn’t going to give you any specific directions beyond “you might want to check out over here”. The remainder of the plot has, so far at least, flowed naturally and organically as a result of my journey around the world and the items I’ve acquired to make it easier to get around. I found my way to the village where my mother grew up, after a somewhat perilous sea voyage through a cave that led right through the middle of an island. I acquired a magic carpet, with which my family and I can travel at much greater speed, but only over flat land and water. I located the mysterious amphitheatre in which my wife and I were sold as statues to the highest bidders. And I even located the tower that once led to the heavenly realm of Zenithia, only to discover it a crumbling ruin, and Zenithia itself seemingly sunk to the bottom of a lake. There are many more adventures ahead of me, that much is clear. But with my own skills improving and my children rapidly becoming strong enough to fend for themselves, I have faith that one day we’ll find my dear wife, discover the fate of my mother — and perhaps indulge in a bit of good old-fashioned world-saving along the way, eh? 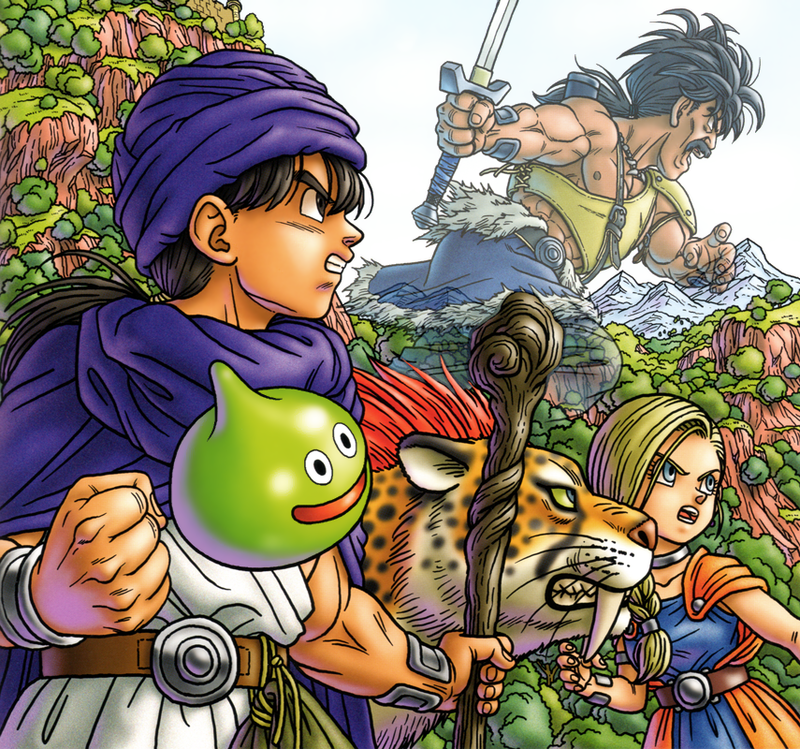 THIS was the moment when DQV really elevated itself and became the best story in the series. The montage of passing time as you are trapped in stone, leading to the return of your children years later, really moved me. First, knowing that you are probably CONSCIOUS the whole time is traumatizing enough, but as a parent seeing your children years later, the immediate realization of the years lost, the whole gamut of emotion is conveyed so elegantly. It also echoes the impotence of your own father’s last moments elegantly, while giving a further chance for redemption. Glad you are enjoying itself. 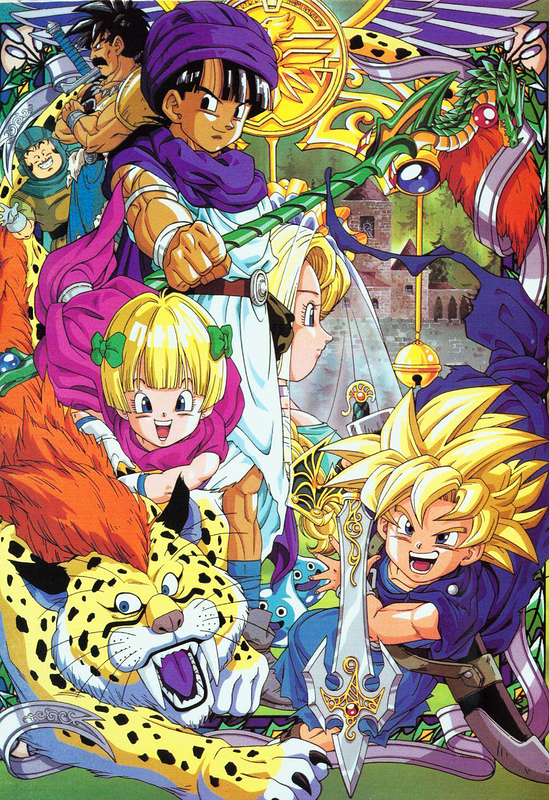 This for my money is the most COMPLETE of the DQ games and I hope you find the end as satisfying as I did. This sounds wonderful. Simply wonderful. I wonder if your kids end up sawed-off little shits if you marry Debora? I guess I’ll have to wait and see. Ah, shame the kids don’t behave differently, I was hoping there’d be some new dialogue, but that’s probably asking a bit much given the volume of text there already is in Party Chat!